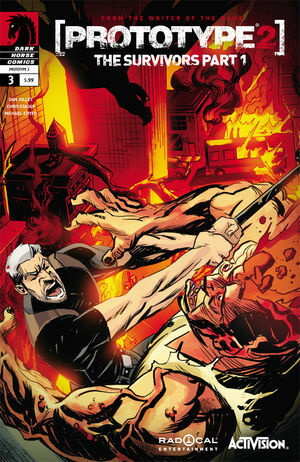 This week, Dark Horse drops a bomb on your bank account with a huge pile of high-quality comics. Let’s not waste time and get right into the awesome! BUFFY: THE VAMPIRE SLAYER SEASON 9 #7 takes the big cliffhanger of last issue, punches it in the throat, and blows you away with an even bigger cliffhanger in this issue. 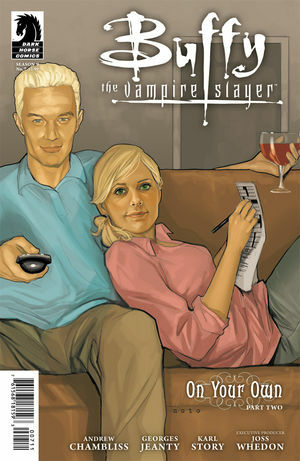 Oh, and there’s some stuff about Spike and Buffy’s feelings and some vampire-stabbing. Basically, good Buffy. 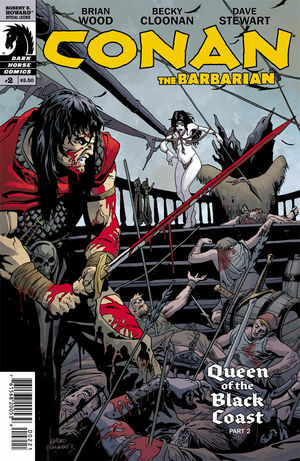 CONAN: THE BARBARIAN #2 continues the new run by Brian Wood and Becky Cloonan and it is fantastic. Conan the Barbarian, Belit the pirate queen, sea-based adventuring, archery, swordsplay, and sexiness. It’s sort of the perfect sword-and-sandals comic, guys. The art is almost unfairly good too. Seriously, pick this book up, even if you’re not a Conan fan (I’m not and I love it.). 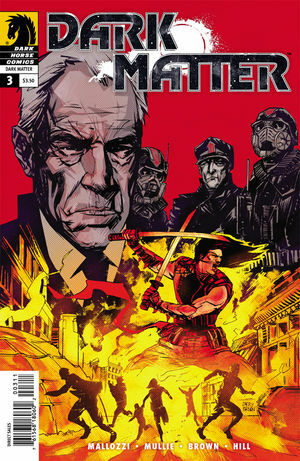 After the huge reveal of the last issue, DARK MATTER #3 keeps this great story by Stargate Franchise writers Joseph Mallozzi and Paul Mullie moving with character moments, drama, and some fantastic action. I’m excited to see what this looks like in a collected version, but you should definitely get on board with the issues i you can find the first two. Great story pacing at work here. 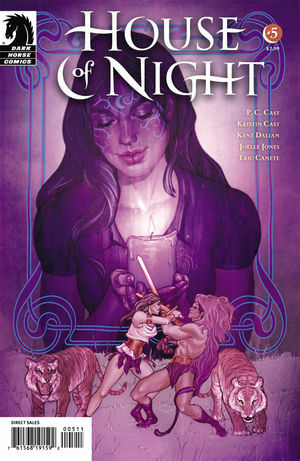 HOUSE OF NIGHT #5 isn’t really my scene, but this story of what basically amounts to vampire high school will easily find fans in the young-adult-reader set. Good move by Dark Horse to snag some younger fans and a great way to do it. The art is solid, the story moves, and I can see why folks with fresh eyes might be drawn in. If you’re a vamp-lover, give it a go. Now LOBSTER JOHNSON: THE BURNING HAND #3, with its strong pulp themes, Mignola-style art, and noir sensibilities, is exactly in my wheelhouse. 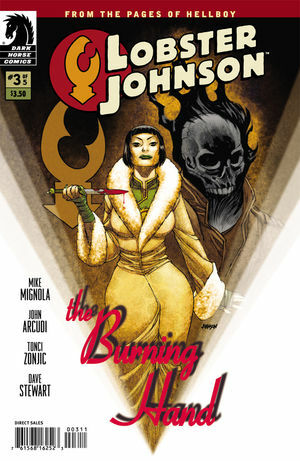 I am decidedly a fan of this corner of the Hellboy/BPRD world, so I always enjoy a new Johnson adventure and it’s easy to put this one on the list of favorites so far. Evil foreigners, pulp heroes, and a baddie with a fiery temper (you’ll see what I did there when you pick it up): it has everything. PROTOTYPE 2: THE SURVIVORS – PART 1 #3 is the start of the Survivors arc and bridges some of the gap between the first and second Prototype games. As I’m not a gamer, I can’t really talk continuity, but I thought the art was cool and the story was interesting. If you’re a fan, I’d say enjoy! 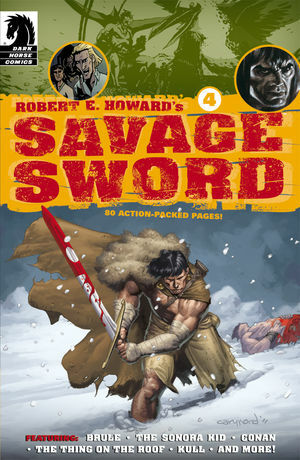 ROBERT E. HOWARD’S SAVAGE SWORD #4 is another comic based on the works of one of the great masters of general badassery and features 80 pages of stories from his various works, including Conan the Barbarian, Kull the Conqueror, the Sonora Kid, and more. There’s some really amazing talent on this book too, continuing Dark Horse’s tradition of amazing anthology work. STAR WARS: AGENT OF THE EMPIRE – IRON ECLIPSE #4 features the return of pre-Original-Trilogy Han Solo and Chewbacca, so I’m over the moon for it. The story continues to impress, the art remains fantastic. This’ll make for one of those instant-head-canon collections that’ll impress fans for years. 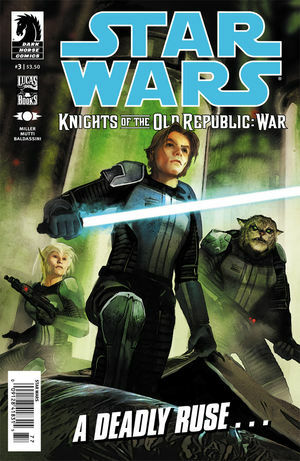 STAR WARS: KNIGHTS OF THE OLD REPUBLIC – WAR #3 amps up the drama in this adventure set during the Mandalorian War. There’s a wayward Jedi, tons of Mandos, and even a name-check of a Fett. 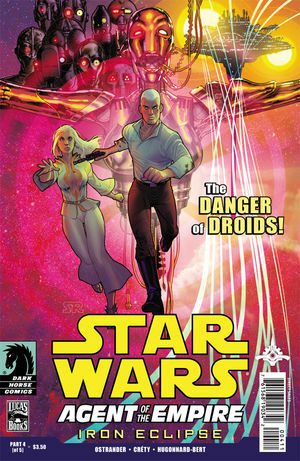 I prefer my Star Wars adventures Original recipe, but this was still pretty terrific. 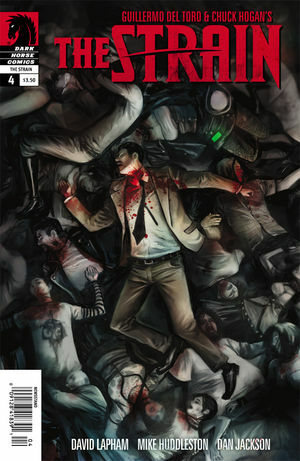 THE STRAIN #4 keeps the horror coming with more spiky-tongued vampires, but it still feels weirdly disconnected in terms of plot. I’m hoping this starts to acquiesce into a more coherent story in the next few issues, but the creepy art will keep me going for now. Not a mandatory read, but might appease the horror lovers out there. 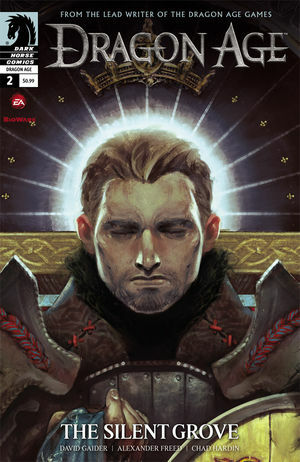 DRAGON AGE: THE SILENT GROVE #2 is another Digital Exclusive and a tie-in to the big-name video game franchise. It’s an interesting mix of sword-and-sorcery and Whedon-esque dialogue. Really cool art too. Give it a go if you have the chance. You can find these comics and more at your local comic store or on Dark Horse Digital. Special thanks to Aub Driver and the fine folks at Dark Horse Comic for this preview! This entry was posted in Dark Horse Preview and tagged buffy, buffy the vampire slayer, comics, conan the barbarian, dark horse comics, dragon age, hellboy, lobster johnson, prototype 2, robert e. howard, star wars, the strain. Bookmark the permalink.